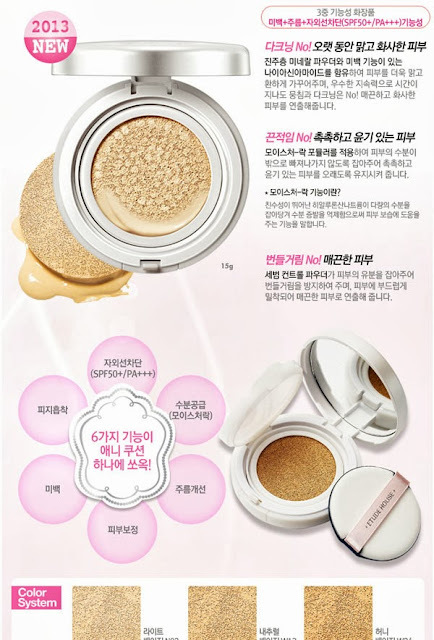 Etude House Precious Mineral ANY Cushion which has SPF 50 in one of the following shades: Light Beige, Natural Beige, and Honey Beige. The winner can choose which one they want. Etude House Rose Flowering Nails in either Watery Rose (top) or Velvety Rose (bottom). There seems to have been a lot of hype about this and the Any Cushion lately. 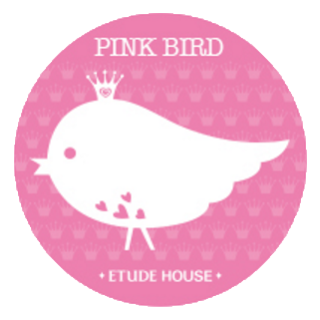 The Etude House Rosy Tint Lips in one of the shades above: #1 Before Blossom, #2 Sunny Flower, #3 Rose Petal, #4 Sweet Poison, #5 Baby Peony, #6 English Garden, #7 Tea Rose, #8 After Blossom. 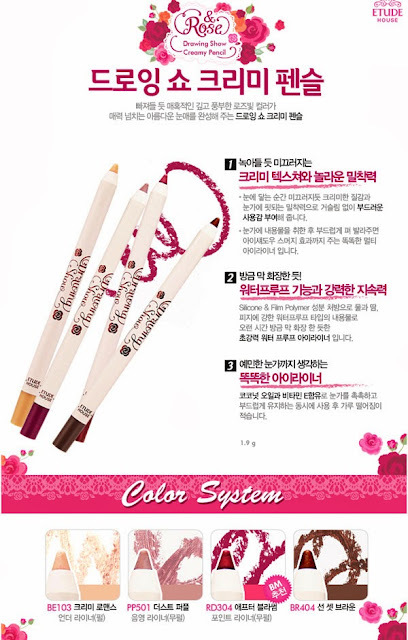 And finally the Etude House Rose Drawing Creamy Pencil in one of the four colors: BE103 Creamy Romance, PP501 Dust Pupple, RD304 After Blossom, and BR404 Sunset Brown. 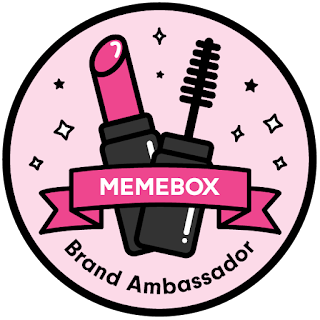 So what do you think of her lovely giveaway? 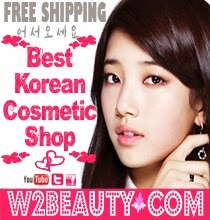 Enter before it's too late at http://www.misaraisu.com/2013/10/etude-house-rosy-giveaway.html.